DISMISS TRAFFIC TICKETS FAST WITH DEFENSIVEDRIVING.COM. LOG ON TO DEFENSIVEDRIVING.COM’s STATE APPROVED COURSE. 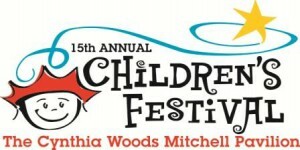 DefensiveDriving.com would like to invite you to come out and enjoy family time this weekend at the 15th Annual Children’s Festival at the Cynthia Woods Mitchell Pavilion. Stop by our booth this Saturday from 10-5pm and Sunday from 12-5pm where DefensiveDriving.com will be holding slot car remote control car races in a Grand Prix Challenge. Race around the track to win. If you don’t win, don’t worry, you can come back and try again to get and stay on the leader board! Based on the number of traffic tickets we help students dismiss daily, we know that you like to drive fast! At the festival this weekend, your speed will pay off and you won’t be getting ticketed for driving too fast!